Tyres act as the only point of contact between a vehicle and the road surface, and hence, it is one of the most important parts of any vehicle. To make sure that your tyres do their duty without any failure, you need to keep a regular check on the tyre pressure. There are some general guidelines regarding the practice of tyre maintenance and every person who owns a vehicle should be well- aware of it. You need to check the pressure of your vehicle’s tyres after a certain period of time. 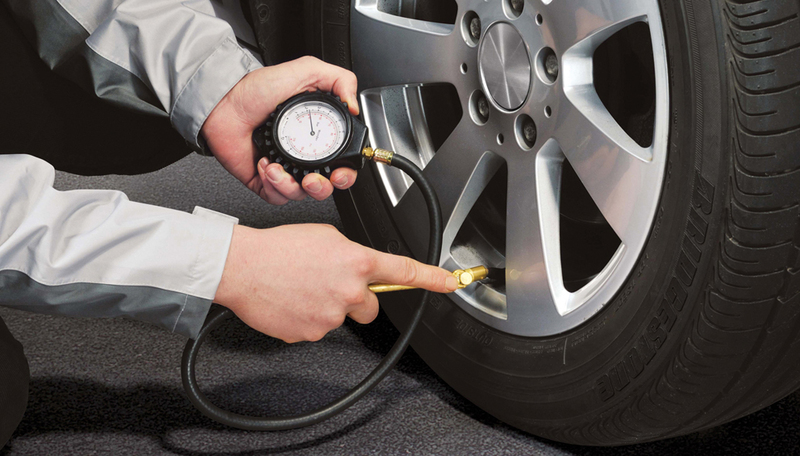 It is good to get your tyres’ pressure checked at least once in a month. If you fail to do so and your tyres start behaving differently, then your vehicle might lose control that may lead to various unwanted situations. If you want to know about the recommended pressure for your tyres, check the vehicle owner’s manual. Also, you can find the recommended tyre pressure on a sticker on the driver’s door and the fuel tank door. At first you need to Insert the pressure gauge into the valve stem on your tyre. You will get to know the psi number once the gauge pops out. Then you need to compare the recommended psi with the measured psi. If you see that the measured psi is below than what is recommended, add air until it reaches the recommended number, however, if it is above the said psi limit, let air out until it matches the recommended psi.